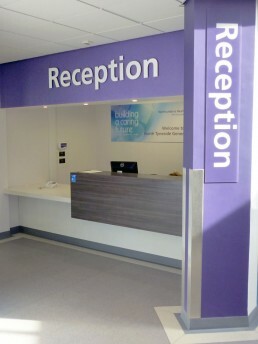 The project brief was twofold: improve the patient experience at the hospital main entrance with a brighter, fresher palette, while simultaneously improving the energy efficiency by correcting the faulty revolving door. 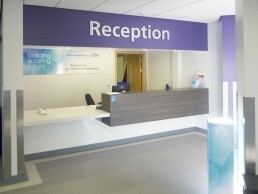 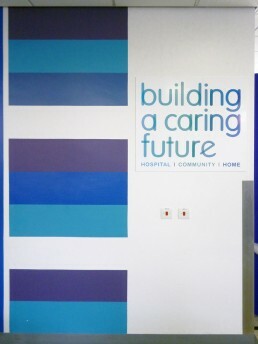 By reviewing the wayfinding strategy and incorporating a simple but effective colour scheme reflecting the Trust’s new corporate image, the entrance has been transformed into a positive space that reflectes the Trust’s ambitious development plans. 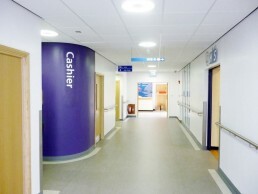 The scheme was delivered in phases to ensure that the busy entrance was kept open throughout the course of the works. 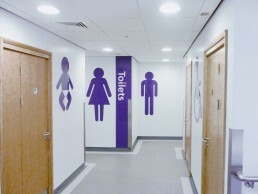 Working closely with the client and contractor ensured that disruption was kept to a minimum.